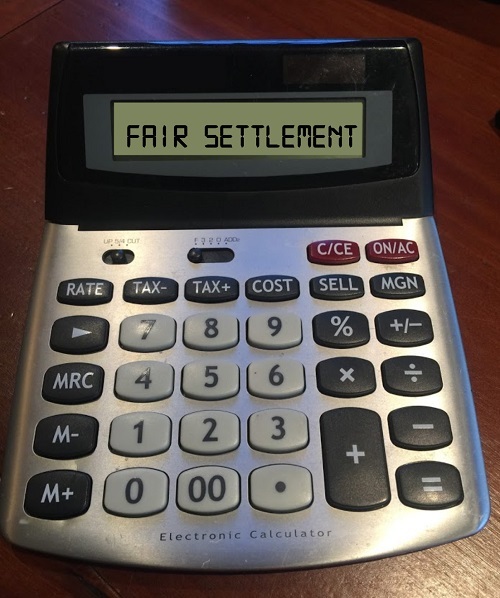 The picture below related to the word fair settlement calculator is offered under a Creative Commons Attribution-ShareAlike license which permits the free use of the image by anyone as long as the user follows the terms of the license. See license details below. No license to use the image above is granted unless all of the requirements of CC BY 4.0 including attribution are met. License permits: Sharing, copying and redistributing in any medium or format. The image may be redistributed for free under the same Creative Commons license but may not be sold, attribution is required to obtain and maintain a license. For easy attribution copy the following and place it on the page where you are using the image above. Settlement Calculator by Mischelle Davis / Davis Law Group is licensed under a Creative Commons Attribution-ShareAlike 4.0 International License. Where can I find more free legal industry images? You can visit our Creative Commons Images For Attorneys & Law Firms library. What if I (or my web master) fails to properly cite the source of the image? If we find that you have not met the creative commons attribution requirements we will contact you to ask that you fix the attribution issues or remove the image from your website. We are not into that whole honey bucket, demand letter extortion, threatening lawsuit thing. That’s not why we are offering free images. So why is a law firm offering free images with a creative commons license? We are offering free law firm and attorney-related images under a creative commons license because we found that there are very few images related to the legal industry available on stock photography websites. So we started making our own. Then other firms started asking to use our images, and we decided to share.